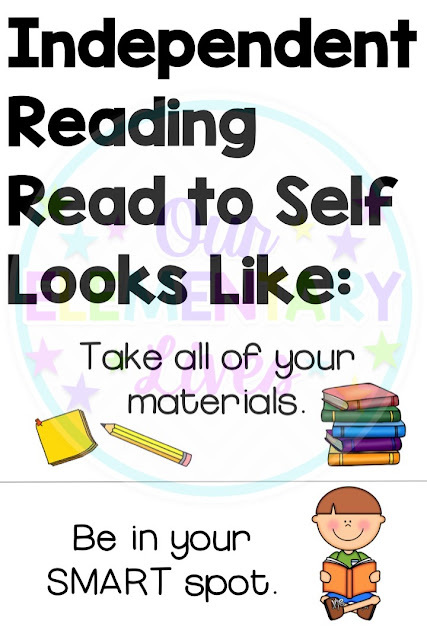 Do you do independent reading or read to self in your classroom? I do and I love it! 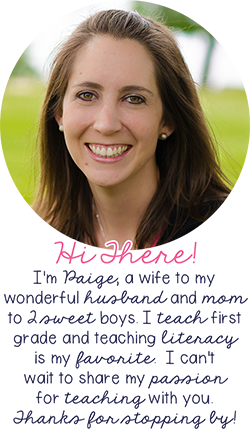 As you may know, I use the Units of Study Reader's Workshop curriculum and the heart of the curriculum is independent reading. I'm not going to get too much into it, that's for another day, but essentially, the idea, is that if you want kids to improve their reading, they need to be READING! 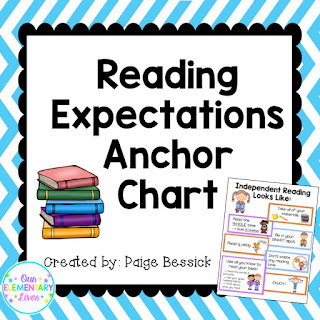 Because it is such a large part of our day, I decided to create an easy-to-make reading expectations anchor chart. 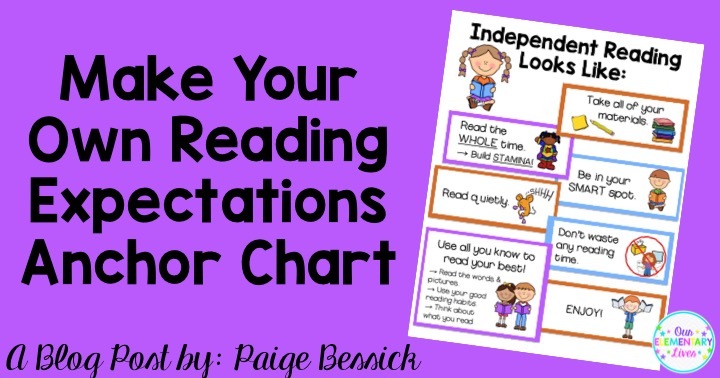 Anchor charts are so important for helping students learn. I typically make them with my students and then have them posted throughout the room. 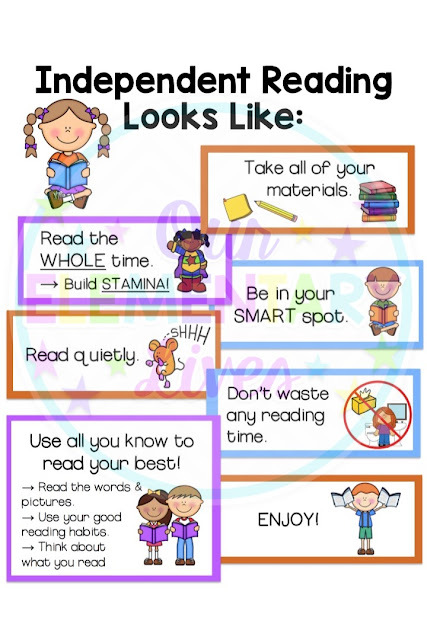 As I am teaching our reading expectations, each day, I introduce a couple of them and add the new ones to the poster. So the poster in not completed until I have taught all expectations. I don't typically create a poster ahead of time then share with the kids. Unless we have brainstormed something, like ways to be a good listener at our desks, I create the posters with them, then fancy them up afterwards or have the components prepared ahead of time like this one. 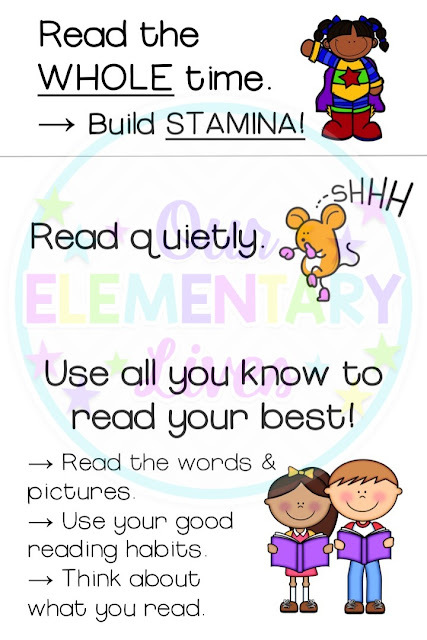 Once the anchor chart is completed, it looks like this and includes 7 essential habits of good readers during independent reading time. Depending on your classroom, you may call it independent reading or read to self. They are essentially the same thing. In this product, you have two options for what you want to call it. You then have 7 essential skills that are required for successful independent reading. Several can be seen below. Here are 3 more expectations. The last one here is my favorite and I think one of the most important. All you need to do to make this product is print, cut and glue. You can add a border to each expectation to match your classroom colors or just print on white or colored paper. I leave it up to you to make it how you wish. I am currently working on making this product editable, but for now, if you have a different expectation you want me to include or you call it something different and want a different heading please email me at ourelementarylives@gmail.com. You can click here to buy it for 50% off right now. Or pin it here to save for later. I am currently in the middle of teaching our expectations and loving every second. I can't wait until they can read independently with purpose. Let me know how it's going for you by commenting below! A light bulb went off in brain while reading this! 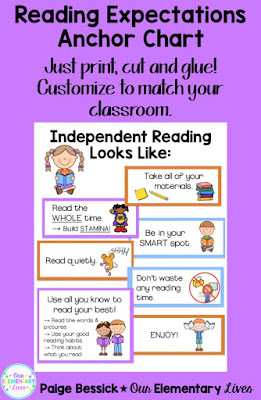 Very cute way of teaching students how to read independently. I need to try this in my classroom. I'm so glad this helped you! We use Units of Study but I usually take the first week or so to teach expectations and this chart really helps. Thanks for stopping by. Yes, expectations are essential, especially at the beginning of the year while also planning for a maternity leave. This chart definitely helps. Thanks for reading.